So the Summer Holidays are nearly over. Phew. Don't get me wrong, it's not that I don't like the holidays, and it's been lovely to see Little Hippy and her Bonus Sisters, but it is so good to get back to a routine. The holidays have been a bit strange this year, for a start they whizzed by so much quicker than usual, but secondly I found out that a date for an operation I was due would be quicker than I expected, so I have spent some time in hospital and recovering. As a result I haven't had much of a chance to craft, which has been a real shame, but as the nights draw in I expect this to change, hooray! So my project today showcases a number of items from the Eastern Palace Suite. 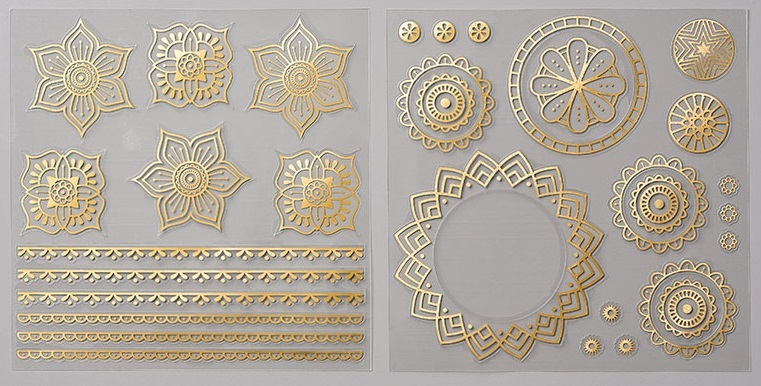 I have used the Eastern Palace Specialty Designer Series Paper and co-ordinating Eastern Gold Vinyl Stickers. 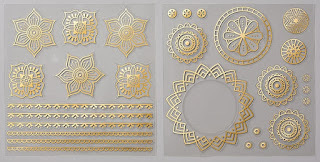 I have also used the Eastern Beauty Stamp Set, which remains a huge hit with Stampin' Up! customers. I used our Dapper Denim Classic Stampin' Pad and the Tranquil Tide Classic Stampin' Pad, and finished off the centre of the mandala with a Rhinestone Basic Jewel. Whisper White Cardstock and Dapper Denim Cardstock work together perfectly. You can view the entire Eastern Palace Suite on page 19 of the Annual Stampin' Up! Catalogue. Feel free to CASE this card. 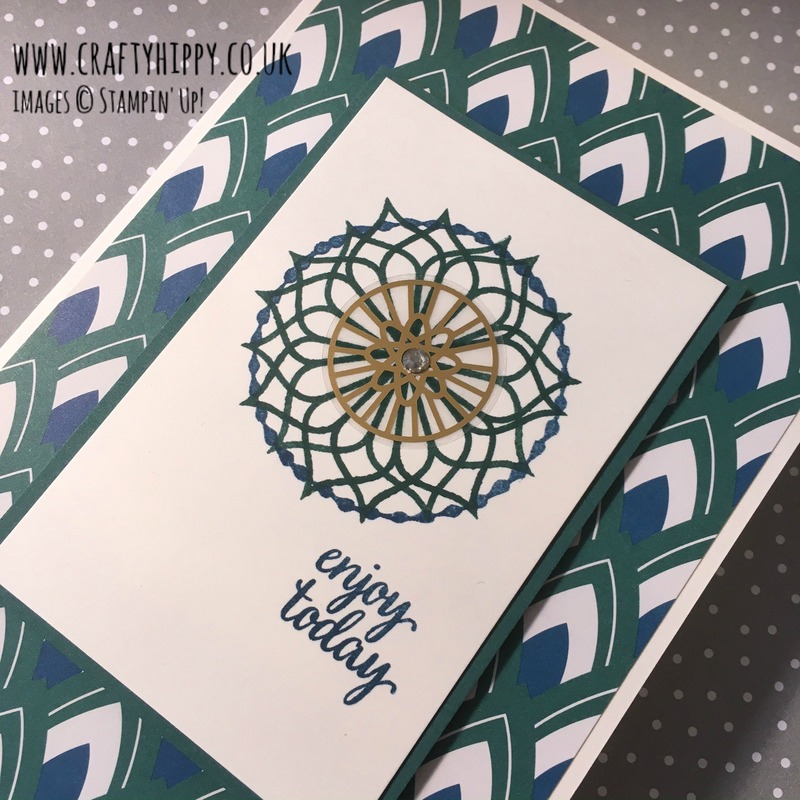 Back soon with more Stampin' Up! ideas. 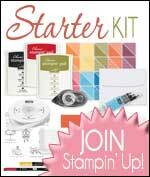 If you would like to know more about becoming a Stampin' Up! 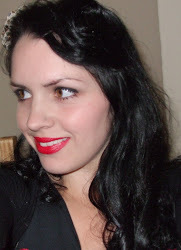 Demonstrator in the UK then go over to my Join page.